Nowadays in the times of working business women, more and more of us seek for easy haircuts. Short hairstyles are popular but daring and not all of us can afford such a risk, while medium hairstyles are not only popular and quite feminine, they are almost as easy as short styles. Well, this statement can be true concerning all cases but Afro American women hairstyles. Even medium length hair can be a problem, cause we well know about dry and frizzy hair texture with hair standing put to all sides in complete chaos. Yet, it is not so hopeless. Here I will introduce you breathtaking medium hairstyles for black women, that are all different and inspire unique mood and senses. 2014 hairstyles include many trendy options for midi haircuts. Defined curls on the picture below is something incredible. The hair looks so soft and silky and the polished ends make the whole image very romantic. This curly medium hairstyle is one of the best pretty hairstyles! The retro hairstyle introduced in here will make you look extremely seductive. Warning wear it only for special events especially if you plan to combine it with red lipstick to vamp up looks. The curly updo hairstyle with a little mess is fantastic. Micro braids with a soft transition to naturally curly hairstyle takes breath away, indeed wonderful decision to keep the roots calm and tight and let the curls shine on. Mind, that only healthy hair can bear the tension of such tight braids. 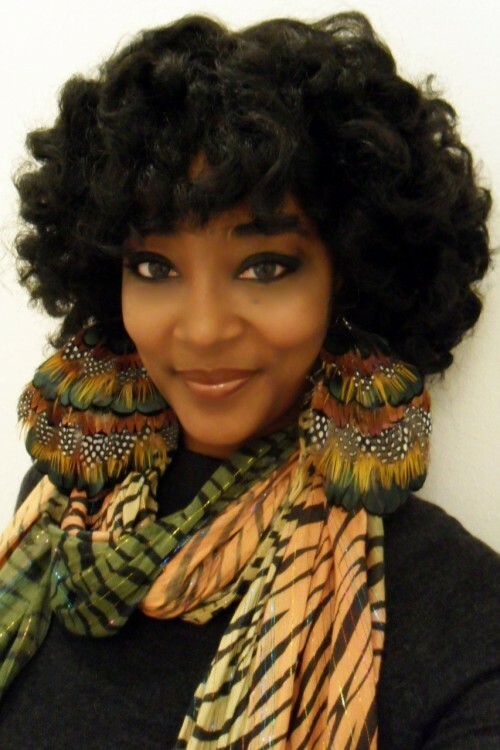 Natural hairstyles for black women are not only about tight curls and braided hairstyles. The more relaxed naturally curly hairstyle you see now is simply amazing as for me, I am sure this medium hairstyle will never make you thing that you don't like big hairstyles. As I mentioned above medium hairstyles for black women can be a problem because of hair quality. But on this picture you see how you can deal with your hair leaving it naturally curly, all you need is special attention to care of the roots to always have them moisturized.